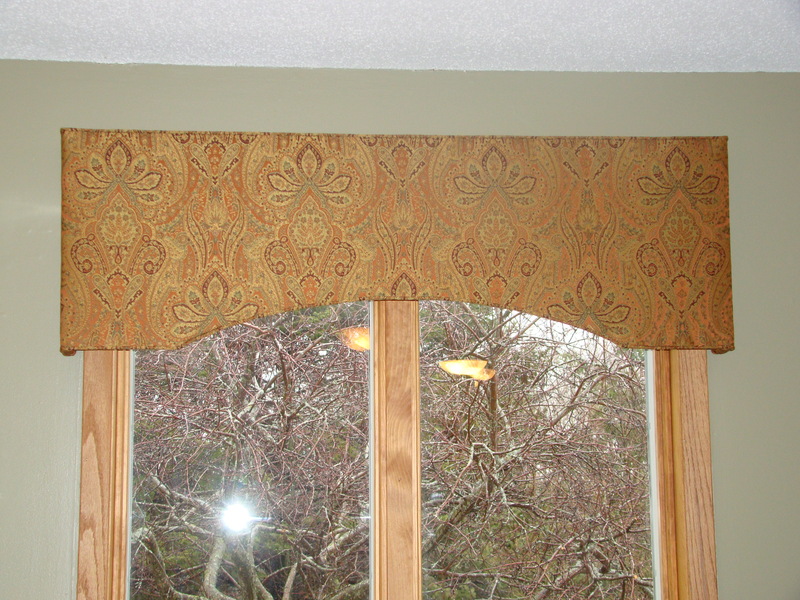 For this family room, my clients were interested in something to dress up their windows. But, they also wanted something that wouldn’t be too formal, something their small kids couldn’t reach and something that wouldn’t be too masculine. 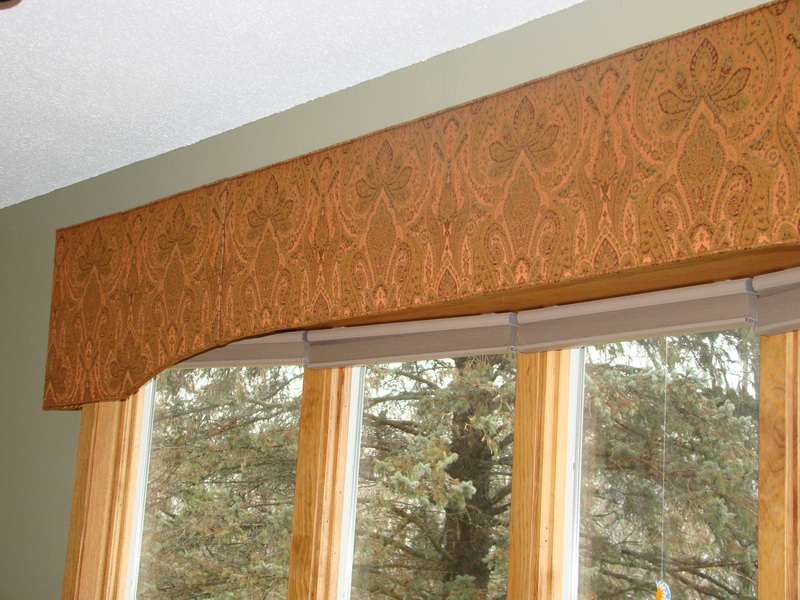 An upholstered cornice fit the bill. They have one smaller window, as you can see, along with a large bow window with five window panels. There is plenty of space above the small window for installing a top treatment, but they weren’t sure what to do with their bow window. Since they already had shades in place to control the light in the room, we chose to install the cornice above the bow window opening, treating it as a large picture window with no angles. That way, the treatment becomes one single, straight piece instead of five separate pieces constructed at strange angles to hug the window panes. Simple, right? The other advantage is that the straight cornice is installed outside of the window frame, maximizing the light coming into the space and maximizing the view out of the windows. Installing a valance or cornice inside the frame of a bay or bow window means it must be placed lower, decreasing light and view. Depending on the construction of the window, that may be a great option. However, in this case, since the entire opening had wood trim around it, we treated the entire group of bow windows as a single unit. 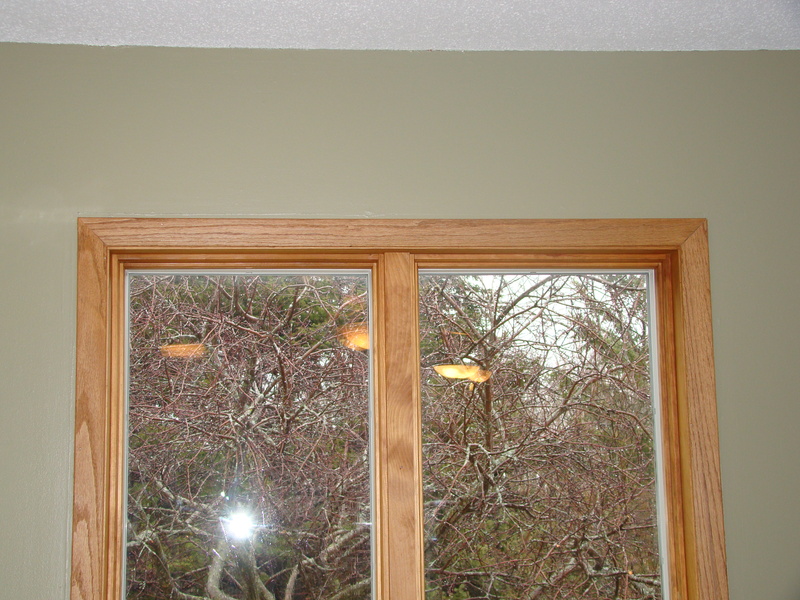 The disadvantage of installing a top treatment this way on a bay window is that the shades cannot be completely hidden from view at the top of the window. 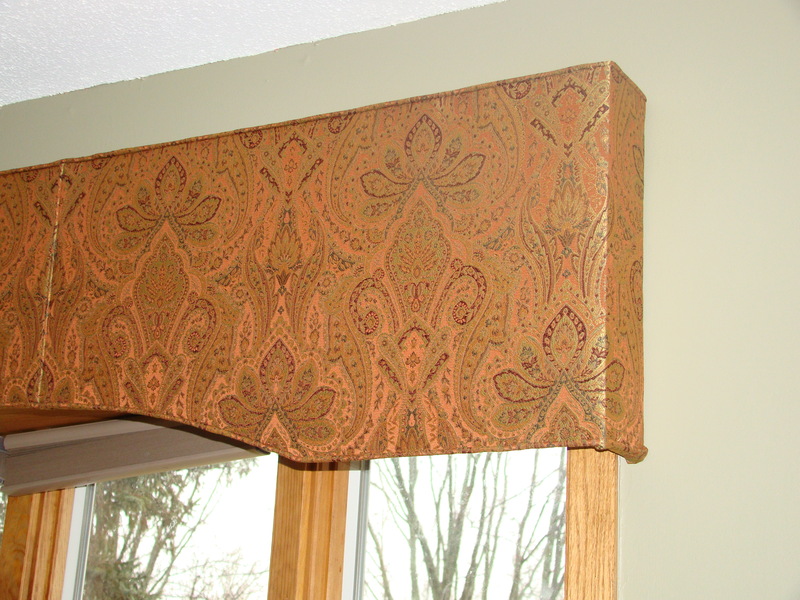 While they aren’t objectionable items, some homeowners prefer to have them hidden neatly behind a valance or cornice when they aren’t in use. While this installation method may not work for every bay or bow window, it could be an option in many cases. If you have a difficult window in your home, take a second look and see if treating it as one large picture window could be a simple option for you!